Let me shine a light on a collection of videos at the Internet Archive, episodes of the classic arcade game series Starcade. The show ran on Ted Turner’s WTBS cable channel from 1982 – 1983, and in syndication the following year. 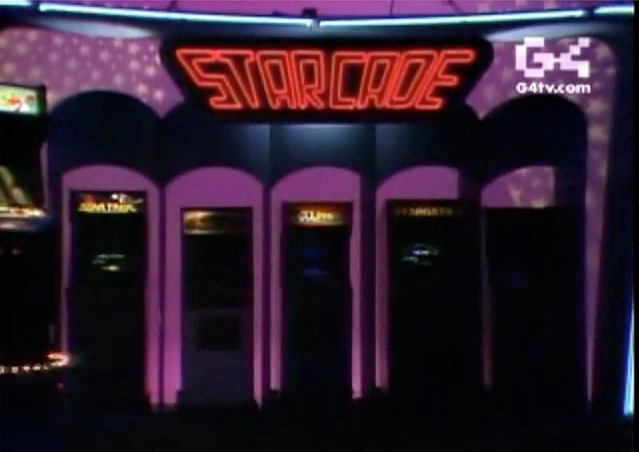 Billed as the first video arcade game show, Starcade featured players facing off against each other on the popular arcade games of the time. Watching the episodes is like glimpsing coin-op Valhalla, with shiny Tron, Super Zaxxon and Stargate cabinets filling the backstage. It prefectly captures the 80’s in video amber. We might not have arcades in our neighbourhoods anymore, but we still have Starcade. This entry was posted in coin-op, Internet Archive, Starcade, tv on November 30, 2012 by William Hunter. On November 29, 1972, a recently incorporated company in California named Atari announced the release of its first product, an electronic video arcade game called PONG. Two players would stand at the wood-grain and yellow cabinet, twiddling the control knobs that moved two paddles displayed on a B&W TV screen. With the paddles they would play an electronically abstract game of table tennis, batting a little white blip back and forth in an attempt to “Avoid Missing Ball For High Score”, as the simple gameplay instructions prompted. Conceived by Atari co-founder Nolan Bushnell and designed by Al Alcorn, Pong was a smash success, giving birth to the video game industry. Fast-forward nearly 40 years later, in 2011 that industry was worth US$65 billion dollars. Among other celebrations of Pong’s 40th birthday, an attempt to enter the Guinness Book of World Records as the world’s largest game of Pong was made on Nov. 16, 2012. A 22-story version of the game, complete with festive lighting, was played on the side of the Downtown Marriott hotel in Kansas City, MO. In a lead-up to the anniversary, earlier this year Atari announced the Pong Indie Developer Challenge. Offering a grand prize of up to $100,000, the company solicited independent app developers to submit their take on the venerable Pong. The three winners were announced on Aug. 2, and they will participate in a profit sharing scheme divided between the three Pong apps that will see them collect royalties up to the winning prize amounts. The top winner, the freemium-based PONG World by zGames, can be snagged at the iOS App Store here. Pong put Atari on the road to becoming the fastest growing company in American history. 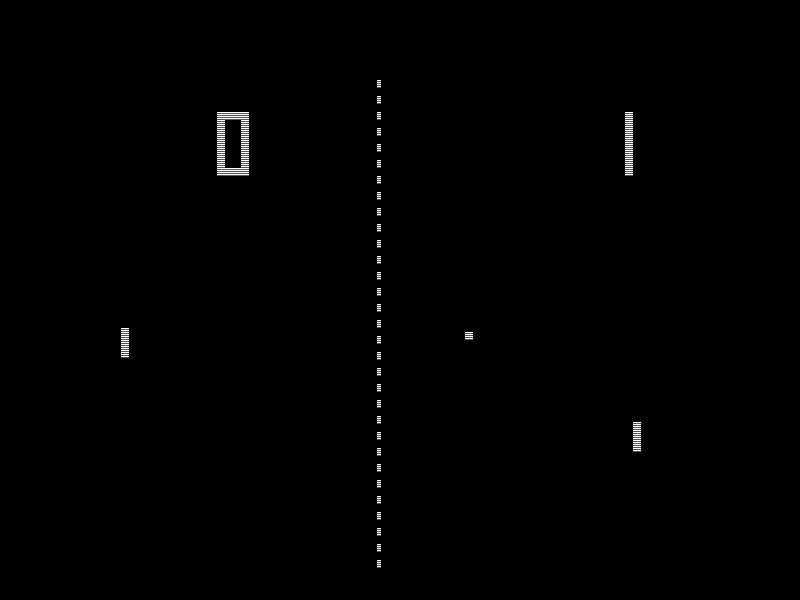 It’s no stretch to consider that when you say Pong is 40 years-old today, you’re also saying the video game industry is 40 years-old. So like those tipsy patrons of Andy Capp’s bar in Sunnyvale California, who played the original Pong prototype until it broke and convinced Bushnell and Atari to produce the game commercially, raise a glass to the grand-daddy of the video game industry. Your serve, PONG! 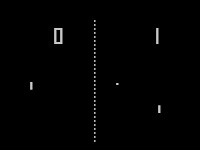 You can play an updated version of PONG online at Atari.com for free. For more information on the history of Pong and Atari, consult your local Dot Eaters article. This entry was posted in anniversary, Atari, pong on November 29, 2012 by William Hunter. 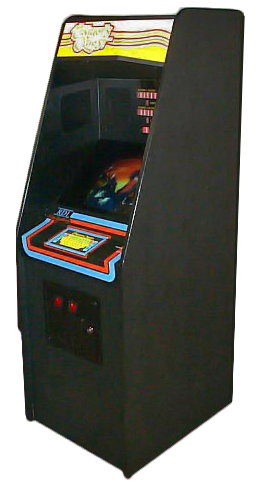 After the enormous success of laser arcade game Dragon’s Lair, Rick Dyer and his RDI Video Systems company created another groundbreaking laser coin-op game in 1984, called Thayer’s Quest. Its story was more closely based on Shadoan, the Tolkien-esqe source material that Dyer had conceived earlier and from which he had spun off Dragon’s Lair. Thayer was an astounding attempt to produce a sword & sorcery RPG epic for the arcades. Eschewing joysticks and buttons, Thayer had a full-size membrane keyboard mounted on the cabinet, which players used to input choices during the game. At the start, you could enter your name, and then be personally refered to via speech synthesis. Shown on the keyboard were various inventory items that Thayer could use at certain spots to advance the plot. The game even had a save game system, where the last ten players could return to continue their progress after losing their last life. The innovation found in Thayer’s Quest makes it a very special and unusual arcade game indeed. Posted below is our gameplay video. For more information on Thayer’s Quest, Dragon’s Lair and the rest of the 80’s laser game craze, consult your local Dot Eaters entry. This entry was posted in coin-op, Dragon's Lair, laser, YouTube on November 28, 2012 by William Hunter. Recently we seem to be in the timeline of our current generation of video game consoles where companies, anxious to generate renewed interest in their hardware without actually producing something new that would cannibalize sales of their current offerings, simply produce refreshes of their current machines. This involves reducing the size and amount of inner circuitry of their lines, in order to look more sleek and save on production costs and thusly lower retail prices. 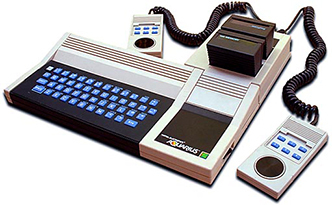 Atari and Mattel both attempted to stave off obsolescence by remodelling their flagship consoles in the early 80’s, producing the 2600 jr. and Intellivision II respectively. Both the Xbox 360 and PS3 have undergone shrinkage with “slim” versions, and now Nintendo, with the release of its next generation Wii U console safely behind them, has announced what it calls the Wii Mini. 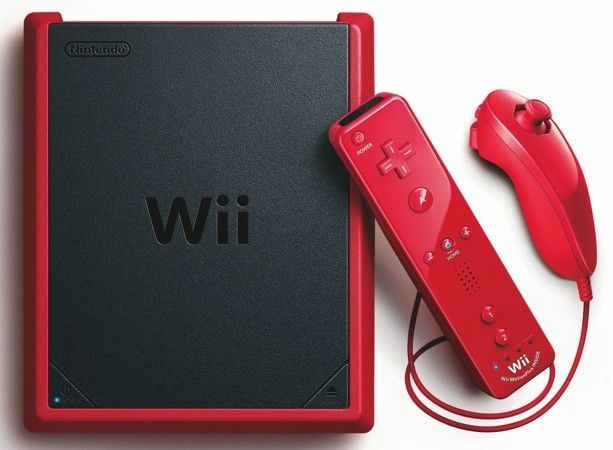 Priced at $99.99, the smaller form-factor comes with a red Wii Remote Plus and Nunchuk controller, to match the console’s colour. What it doesn’t include, however, is any online capability, nor Gamecube compatibility. The console also seems to be a Canadian exclusive, at least over the 2012 Christmas season. Nintendo is mum on any details about other countries getting a release, so currently only Canada has tiny Wii’s. Don’t worry though, we’re not embarrassed. Although I don’t think I’d be telling anyone I had a Wii Mini. Especially in the clubs. Be sure to ask your Future Shop salesman about his Wii Mini on Dec. 7. Okay, I’ll stop now. Although I still think they should have called it the “WeeWii”. Maybe in Scotland. This entry was posted in consoles, nintendo, Wii, wii mini on November 27, 2012 by William Hunter. Perfectly captured in forlorn sepia tones is the fate of the E.T. 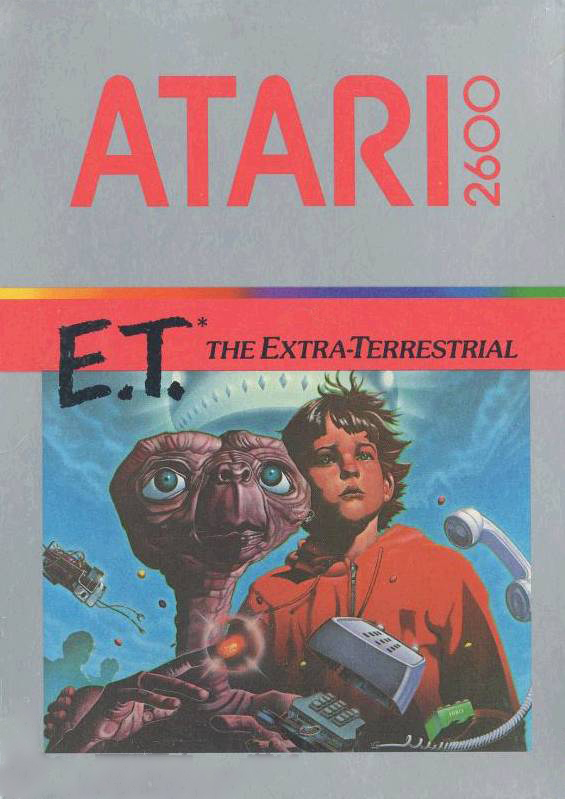 : The Extra-Terrestrial game by Atari, infamous for helping sink the company and its flagship console the 2600, and thus the rest of the U.S. video game industry in 1983 – 1984. 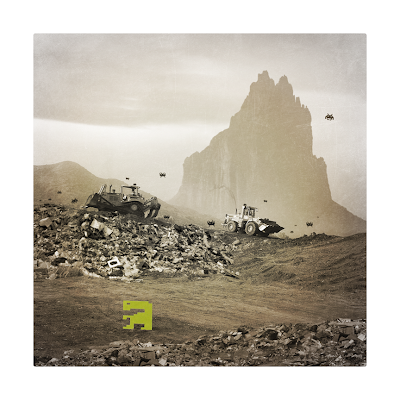 Created by artist Pauline Acalin, these 6×6 digital prints feature the rejected 8-bit fugitive wandering a landfill, while the ghosts of slightly more popular electronic aliens look on mourning his fate. The work is simply titled “1983”. The hand-signed prints can be purchased at the Yetee Gallery space on Storenvy, for $20. For more information on the E.T. game and the great video game crash, consult your local Dot Eaters entry. This entry was posted in Atari, consoles, E.T., VCS/2600, video game art, video game crash on November 27, 2012 by William Hunter. Do you know the powerhouse 3rd gen console discussed in this quote? This entry was posted in quote mining, trivia on November 26, 2012 by William Hunter. 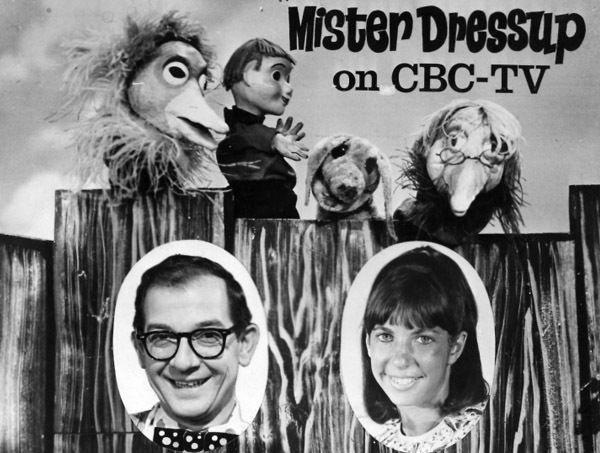 Mr. Dressup Honoured by Google Doodle. 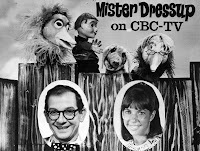 Ernie Coombs was a mainstay of children’s programming on the CBC, as the title character of Mr. Dressup, running on the network from 1967 to 1996. Along with his puppet friends Casey and Finnegan, he was a gentle and friendly accompaniment to my formative gaming years of PONG and Atari. He passed away in 2001. This entry was posted in CBC, tv on November 26, 2012 by William Hunter. Old Spice, a company that is rapidly defining how to do incredibly effective viral marketing, has created a new, online retro-style game starring retired NBA basketball star Dikembe Mutombo. 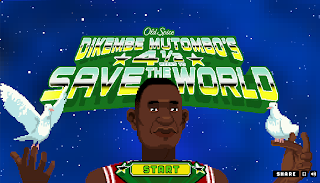 Titled Dikembe Mutombo’s 4 1/2 Weeks to Save the World, the former baller is on a quest to carve new dates into the Mayan calendar, and thus save the world from extinction at the end of the year. The game is very funny and highly surreal, as only a classic 8-bit game can be. It’s also pretty fun to play. The game is rolling out in instalments, with the first stage now live at oldspicesavestheworld.com. Be sure to say Hi to Science, the Bear for us. This entry was posted in 8-bit, Old Spice, retro-style, viral marketing on November 25, 2012 by William Hunter. Market percentages of game platforms and genres analyzed. 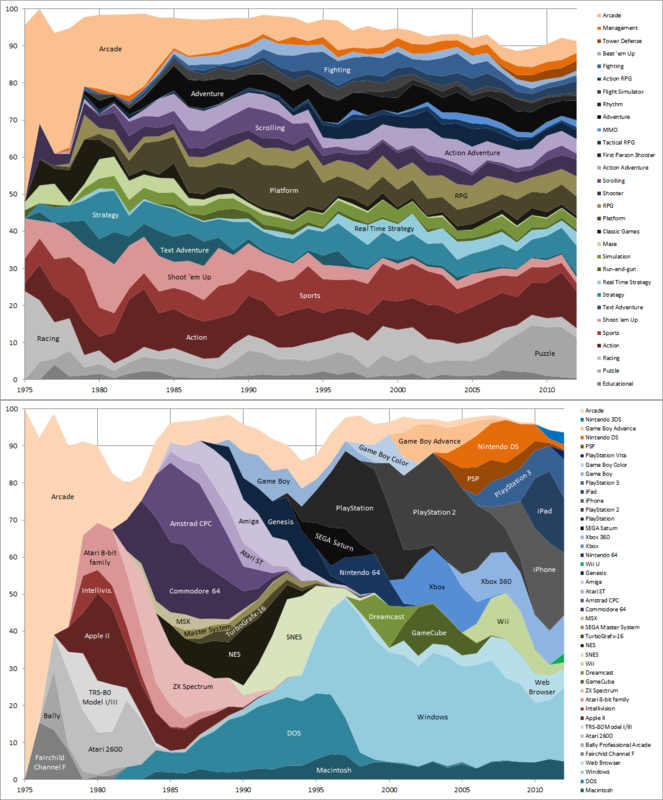 This is a graph of the percentages that various gaming platforms and genres have made up of the video game market, from 1975 to present day. It’s completely fascinating. Culled from a database of 24,000 video games from VideoGameGeek, these charts vividly describe the roller-coaster ride of the rising and falling whims of the video game market. Witness as arcade games dominate the percentage, and then get steadily hammered down into nothingness. Watch helplessly as generations of video game systems yield to their successors, who yield to the next wave, in an electronic circadian rhythm. To me, it’s very much like watching a colourful evolutionary chart, where organisms emerge from their primordial pong, crawl gasping into the sun of commercial acceptance, who then are driven extinct by more evolved species better able to adapt to the marketplace. It puts The Dot Eaters into perspective: It’s like breaking apart the rock strata of video game history and examining the fossils, in a medium of electrons and brightly coloured photons that is anything but chiselled in stone. Reading this chart, I also can’t help but think of the companies, programmers and players who are swept around helplessly in the ebb and flow of the ever-shifting, ever-raging video game current. This entry was posted in analysis, charts, video game history on November 22, 2012 by William Hunter.